On a Wednesday morning, I woke with a bit of a stiff back. It felt like many a time in the past when I had slept in an odd position or on something other than a bed, like an old couch or the floor or ground. My back ached, but it wasn't unbearable. Given a few hours, it would probably go away. As I got ready for the day, I noticed a round, red rash. It looked like some sort of insect bite. Maybe some local spider or something had bitten me as I slept. A little tender to the touch, it didn't itch. Like the back ache, I put it more or less out of mind. I'd keep an eye on it since it was kind of big (maybe 3/4" diameter), but I wouldn't worry overly much about it. Neither symptom seemed noteworthy enough, though, to connect them to each other. The day went on. My backed stopped aching, as I had expected. As the evening came on, I started to get a headache and my legs felt generally achy. It felt like the malaise you get with the flu. Ibuprofen helped ease the headache, but by about 9pm I was ready for bed, much earlier than my norm. When morning came on the second day, my headache was still there, not bad, but present, noticeable. My back also ached again. I looked at the rash, and the answer to what was causing all of these symptoms became immediately clear: my rash had gone from being just a round spot to a bulls-eye. The middle was the same size rash I'd noticed the day before, but it now had a faint red ring around it, with a pale ring separating the two. 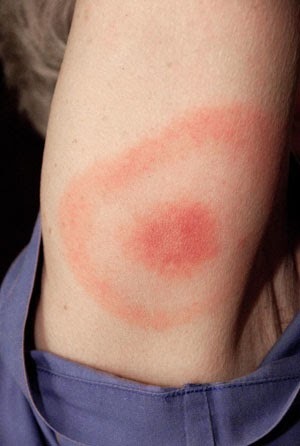 I didn't know much about lyme disease, but at the very least I knew about the bulls-eye rash. I also knew that it could be effectively treated with antibiotics, since it is caused by one of three species of bacteria: Borrelia burgdorferi (in North America, particularly the northeast) or Borrelia afzelii and Borrelia garinii (predominant in Europe). It was time to head to my doctor's office. The resident I saw took my history: working in the woods over several weekends in Connecticut, the headache, muscle aches, fatigue and the rash. She called her supervising physician in to get a second opinion. The doctor took one look at the rash, which by mid-afternoon had gone from the faint bulls-eye I saw in the morning to a very clear bulls-eye, and confirmed that it was lyme. In fact, the rash was almost too perfect an example that the doctor nearly didn't believe it, after having seen many, many cases of the disease. They could have called for a serum lab test to confirm the diagnosis, but it was still early enough that the test would have had a good chance of coming back negative, and we would have wasted several days waiting for the results. Alternatively, we could have waited and done the serum lab later, when there would have been a greater chance for a more accurate result. Either way, the treatment plan was the same: 21 days of antibiotics (in my case, doxycycline). At the time of my visit, I felt more or less okay. I only had a minor headache, nothing debilitating, just mildly irritating, coming and going. My back felt fine and there was no malaise, nor had I noticed any fever. 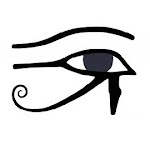 On the third day (Friday), though, the headache was back and wasn't going to be ignored. By early afternoon, it became too much of a distraction that I could no longer focus and had to head home early from work. I laid down to take a nap, hoping it would help alleviate the pain. When I woke around dinner time, I had a definite fever. The next couple of days, the only symptom I had was the ever-present bulls-eye rash (now about 3"-3 1/2" in diameter) and the headache, which varied between annoying to head-splitting. By day five, the center of my rash, the slightly darker bump where the tick had briefly attached itself weeks ago, started peeling, much like after a sunburn. I awoke on day six (fifth day of antibiotic treatment) with no headache, no malaise, no fever. As my course of treatment progressed, other than some minor heartburn from the antibiotics, I had no other symptoms. The rash remained visible, though very faint. The sunburn-like peeling continued until the entire area of the original rash had peeled. Overall, the most annoying parts of the whole experience were the initial headaches, timing my twice-daily doses of doxycycline to be on an empty stomach and keeping out of direct sunlight as much as possible (photosensitivity is one side effect of the antibiotics). I didn't even receive any dodgy pseudoscientific suggestions for treatment, except as jokes from some blog friends. That was my encounter with my unseen, unwanted invader. Of course, I could most likely have avoided the whole thing with some basic precautions, like using insect repellent and checking myself for ticks. But if I hadn't recognized the rash and sought prompt treatment, I might have had a slightly more difficult time of things. Without treatment, the bacteria can spread to other parts of the body. I may have developed more rashes elsewhere, more meningitis-induced headaches, facial paralysis, temporary arthritis or shooting pains, making sleep difficult. In most cases, though, these symptoms resolve on their own. There may be periodic recurrences, such as periodic inflammation and pain of the large joints, for up to several years, but given enough time, the symptoms would eventually go away for good. If prompt antibiotic treatment successfully kills off the bacteria, why were people so concerned for me? I'm not saying that I would have enjoyed having periodic bouts of arthritis, but it is unlikely I would have suffered lifelong debilitating illness, since evidence suggests that the immune system would eventually eliminate the infection. And even in the event that I did not get treatment and my immune system did not eventually eliminate the infection, there would still be a good chance that antibiotics would improve any neurological sequelae. But beyond the lengthy, though ultimately limited, course of infection, why is Lyme so frightening? The answer lies partly in the image of Lyme disease as promoted by some activists. Much like other anti-science movements, such as the anti-vaccination movement or HIV/AIDS denialists, vocal Lyme disease advocates reject the scientific consensus on Lyme disease, what it is, how it's treated, etc. Instead, they have created their own definition for the disease. Rather than Lyme disease being something that is limited by geography and treatable with antibiotics, they view it as a widespread, easily transmissible disease that is difficult to diagnose and hard to treat. Lyme disease is sexually transmitted. Again, this is false. 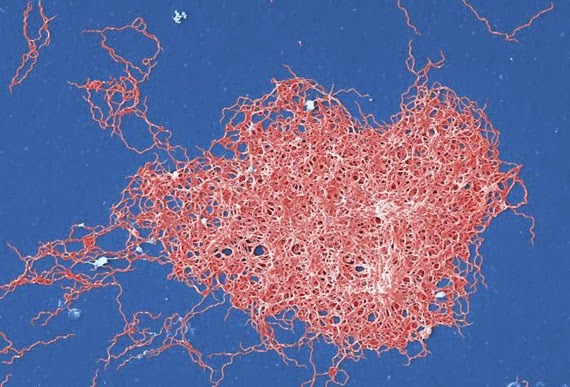 The argument goes something like this: B. burgdorferi is a spirochete (corkscrew-shaped bacteria); Treponema pallidum (the bacteria that cause syphilis) is a spirochete and is sexually transmitted; therefore B. burgdorferi is also sexually transmitted. In case it isn't clear why this logic is faulty, let's use an analogy: my matchbox car has 4 wheels; my Toyota Corolla has 4 wheels and can transport me to the store; therefore my matchbox car can transport me to the store. While they may have features in common, that doesn't mean they operate the same way. It would be very difficult for B. burgdorferi to pass sexually from one person to another, simply because of how it operates within the human body. Lyme disease is almost impossible to cure if not caught early. The truth, however, is that even late-stage Lyme disease can be effectively treated with antibiotics in many cases, resulting in full or substantial remission of symptoms. Lyme disease causes autism. Studies looking at autistic, developmentally delayed and neurotypical children have found no association between autism and Borrelia burgdorferi. Similar arguments exist claiming the bacteria cause a host of other conditions: Morgellons disease (a disease that has yet to be proven to actually exist), multiple sclerosis, Parkinson's disease, ALS, Alzheimer's and so on. However, these claims either have no valid evidence to support them or have been shown to be incorrect. The usual doses of antibiotics are insufficient to treat Lyme disease. This is probably one of the most common claims surrounding Lyme disease. A number of subjective, nonspecific symptoms have been associated with Lyme disease: fatigue, pain, etc. While some of these symptoms do occur with primary infection, they generally resolve with the usual course of treatment. In those situations where the subjective symptoms do not resolve, extended antibiotic treatment does not improve outcomes when compared to a placebo, which resulted in similar improvements. This myth may persist due to certain types of lab tests (e.g., PCR) finding spirochetal DNA or mRNA even after treatment. However, in vitro studies suggest that finding these fragments does not mean that the bacteria are viable, since antibiotics essentially obliterate the bacteria. That last point (as well as the second-to-last point) are rather troubling. These claims lead to the abuse of antibiotics, prescribing them for months or years, sometimes with combinations of multiple antibiotics, when the evidence does not support such a regimen. So-called "chronic Lyme disease" is often treated in this manner. Any time a patient develops some non-specific symptom that activists have decided indicates chronic Lyme disease, just treat with antibiotics, despite there being no good evidence that prolonged treatment does any good. What's more, long-term antibiotic use carries risks, such as tendonitis, hearing loss, diarrhea, liver damage and so on. In addition to the damage it can do to the patient, use of antibiotics when they are not indicated can lead to the development of antibiotic-resistant bacteria, such as MRSA. The result is that when antibiotics are called for, they may be less effective. And what good anti-science movement would be complete without its own minority slice of physicians that enable these misconceptions ("Lyme-literate doctors") and conspiracy theories? In the case of vaccines, activists argue that Big PharmaTM is covering up the evidence. In the case of Lyme disease, the blame is on insurance companies. Speaking of Lyme and vaccines, a vaccine for Lyme disease (LYMErix) actually was developed, though you won't be able to find it now. SmithKlineBeecham developed and, in a perhaps ill-advised move, marketed it directly to consumers in a very aggressive fashion. Despite it being a safe and effective vaccine, it failed after only three years on the market due to fear, misinformation and politics. A second vaccine never even made it to market, after its manufacturer saw the trouble SKB had with LYMErix. There are many other facets of this subject that I could go into; this is just a tiny snapshot. I could, for example, go on to discuss post-Lyme disease syndrome and how it differs from chronic Lyme disease. Or I could talk about erroneous claims that the vaccine causes Lyme symptoms. Unfortunately, this post is already long enough, and I just don't have the time to delve into all the myriad issues surrounding it. My main purpose in writing this post was to share my experience with Lyme disease. I know that it is just an anecdote, but I hope that my experience, combined with the abundance of scientific evidence, can help others get prompt and appropriate treatment, while avoiding the quacks that would prey upon people's fears and lack of understanding. Not trying to derail this with an (mostly) off-topic comment, but this post did answer a question that has been nagging me for some time but not enough to actually look it up. In a TV documentary (I think it was an episode of Nova) about "Otzi the Iceman" (the neolithic man who was murdered 5000 years ago and who's body was recently found in a melting glacier near the Italian-Austrian border), they mentioned in passing that he had Lyme disease. I always wondered how that was possible given that the disease is carried by a North American tick that requires a mouse and a deer species not found in Europe, but I see there are two European species of Borrelia that also cause the disease. Not really off-topic, John. It's an interesting tie-in. Now I can say I have something in common with a neolithic murder victim! Well, glad you caught it early and made a complete recovery! Thanks for the science. Your "science" is no longer relevant. The IDSA authors cited in your references have had their Lyme Guidelines removed from the National Guidelines Clearinghouse because that do not meet the evidentiary requirements - they were mostly based upon opinion. I suggest you become an informed blogger. Who are these IDSA authors? I checked this almost three year old article and can't find anything to match those initials. Perhaps you should have provided citations? And why would it change Todd's anecdote?